Carlo Ancelotti has reached agreement to take over as Napoli coach ending Maurizio Sarri’s three-year reign at the Serie A club, according to reports in Italy on Wednesday. Italian Ancelotti — who was sacked by Bayern Munich last September — hammered out a deal Wednesday after a series of meetings with Napoli president Aurelio De Laurentiis in Rome. However, the official announcement may not be made until June 1 as details have to be sorted out concerning Sarri’s position, Gazzetta Dello Sport reported. 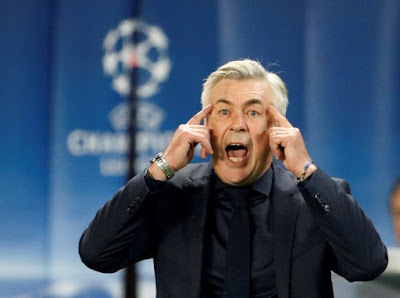 It would mark Ancelotti’s first job in Italian football since leaving AC Milan in 2009 after leading the club to a Scudetto and two Champions League titles. Ancelotti’s son Davide and his son-in-law Mino Fulco will also be on the Napoli coaching staff. But the club’s film producer boss De Laurentiis lost patience with Sarri’s indecision over his future. Zenit St Petersburg and Chelsea are both reported to be interested in signing former Empoli coach Sarri, and Napoli would prefer they pay the release clause, so do not want to sack him. “In life everything comes to an end,” said Sarri after his final match last Sunday, a 2-1 win which relegated Crotone to Serie B. “Sometimes it’s better to finish stories while they are good. He added: “The situation is complicated. You can’t say you’re ready to go and try again with this squad when you don’t know whether everyone will remain here. “I don’t know if the club will manage to keep the players who have release clauses when offers will come in from big clubs. Despite having never won a trophy at any level, Sarri has been linked with a move to Chelsea where Antonio Conte’s future remains unclear. However, there are reports Sarri is considering an offer from Zenit Saint Petersburg. Ancelotti had been linked with the Italy coaching job before Mancini’s appointment.